Ever since I've discovered about the wonderful benefits of Argan Oil, I've been using it for my hair, skin and nails. 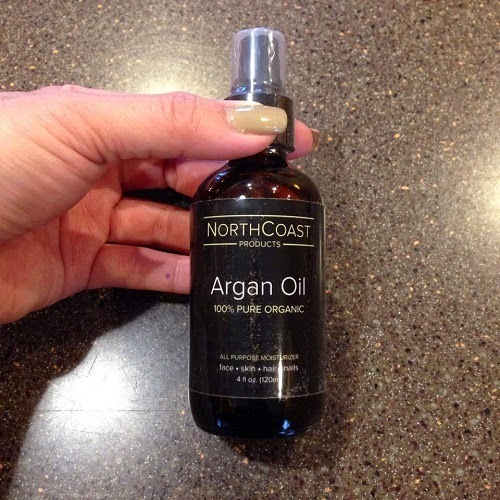 Today, I am reviewing the Virgin Argan oil by NorthCoast Products. Pamper your skin/hair/nails with 100% Pure Virgin Organic Argan Oil! Feel the difference of using this rare, ancient, and natural solution to create beautiful, soft, shiny skin & hair. Used for centuries in ancient Morocco, this precious oil is now available to help show your natural beauty and radiance! 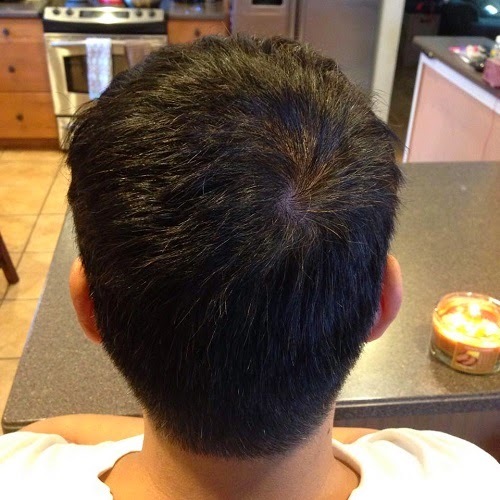 You'll be amazed at how well it absorbs into your hair and skin! Use consistently for best results. 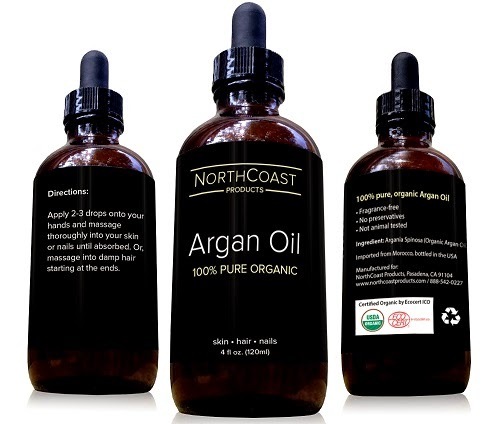 NorthCoast Products Argan Oil only has one ingredient: Argania Spinosa (Organic Argan Oil). All natural, with no preservatives. Certified organic by Ecocert ICO / USDA. Shipped and produced with the highest quality standards. Imported from Morroco, bottled in the USA. I like to apply a couple of drops on my hair right after shampooing while it's still damp. It keeps my hair soft and shiny and frizz free. I used to condition my hair daily, but now I only do it once or twice a week. The Virgin Argan oil leaves my hair soft and tamed. It's also a lot easier to style. Modeling for me is my brother. 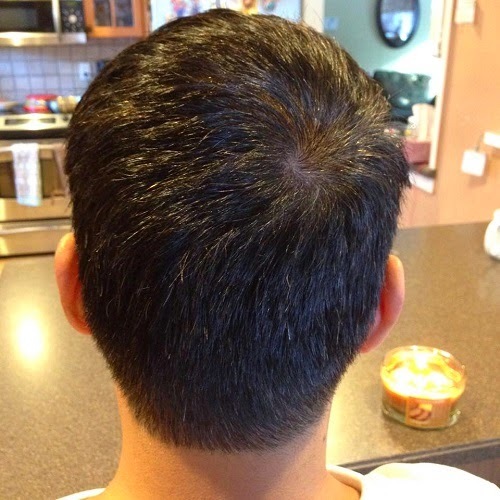 See how the oil added shine to his hair. It was only recently that I discovered that Argan oil can also help with eczema. Our twin girls suffer from it, so when the Argan oil arrived last week, I started applying a few drops after taking a bath, just before toweling off. I was very surprised that their eczema is starting to clear up and they've stopped scratching it. It works better than their hydrocortisone cream! Overall, we love the oil and all the wonderful benefits that it delivers. If you are looking for a product to combat signs of aging, moisturize hair and cure eczema, this is a great product to try. You can purchase the Virgin Argan Oil through Amazon. It's fairly priced at $23.97.